I will review the latest mascara in my vanity and this time it’s from the brand Oriflame. It’s called Hyper stretch mascara with Pro long complex. I got this 3 weeks ago and loved it since then. In fact my first ever mascara was from Oriflame when I was in school, that was their wonder lash, it had a brilliant wand, I will repurchase that soon.:D. Okay so, let get started with the review. Price: 398 INR but I got it at discount don’t remember the price. 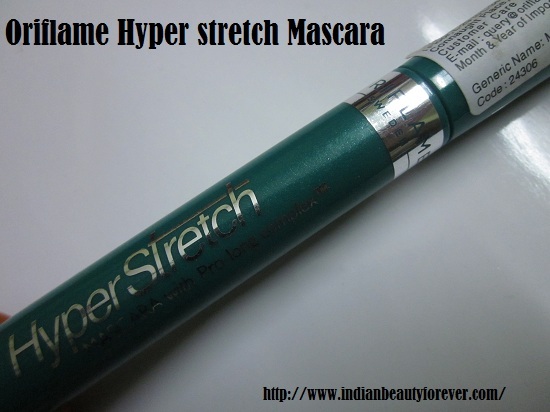 My Experience: This Oriflame Hyper stretch mascara comes in a teal green colored tube with silver letter. Mascara wand is long and slender. It has a straight stylus not curved and the bristles are arranged spirally on the wand. This arrangement helps segregating the lashes as you roll the wand while applying this mascara and due to which product sticks better and evenly with no flakiness. One thing that I absolutely loved about this mascara is that, I do not curl my lashes but as the wand has spiral arrangement of bristles, so when you twist it upwards, it also curls the lashes and it’s formula kind of holds the curl for a longer time. In the picture below you may see that in the second and third coat how it has lengthened the lashes! It’s not waterproof so can be easily removed even with some cleansing milk. 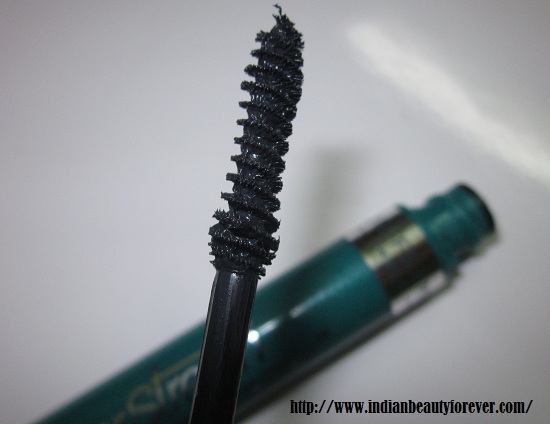 Overall, I like this mascara, it can be used daily and I have not faced anything like lash fall or any adverse effects. Most of the waterproof mascaras are hard to get rid of but this is perfect for those who don’t like such mascaras. Ingredients were not mentioned anywhere and as you can get it on discount so I would say that the price is okay too! but still I like Maybelline mascaras a lot! It lengthens and slightly thickens the lashes. Specially designed mascara wand helps distributing product evenly on the lashes and with no flakes. It curls while you use it and the formula does hold the curls up properly. Price is okay and you may also get some discounts on oriflame products as they keep on introducing discounts in their new catalogs. Honestly, I could not find any other cons with this product as I am satisfied with this mascara as of now. Clumping can be taken care by using a lash comb. 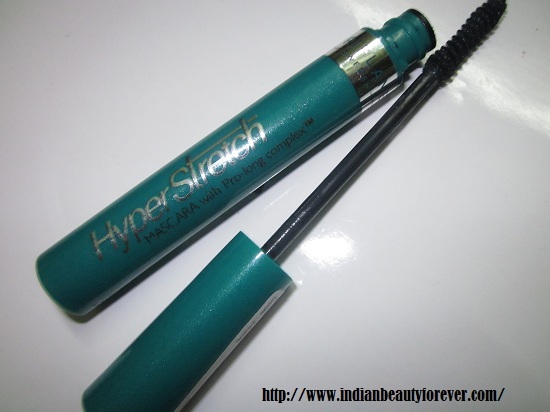 My Take: Oriflame hyper Stretch Mascara is an affordable mascara that does lengthen and thickens but also delivers curling effect to the lashes. Do consider it if you like Oriflame products and looking for a new mascara that can do a great job at the price. Wow it does make a difference but since it clumps ill give it a paas! Nice review niesha! is it better than maybelliner colossal? Amazing! Your eyes look so cute!! I've had the worst luck with mascaras with wands like that, it doesnt grab my tiny lashes well! It does seem to work fairly well for you though! Some length and volume I can see! Yup, you are right Sharlynn, this sought of wand needs a bit lengthy lashes to grab and put the product on. For me it worked good! I think some other types of mascara wands would help you much better.